New spots proclaim that everything cool is already taking place on the ecommerce platform. New movie poster? Football jersey? Cute sweater? Online shoppers are often motivated to buy specific items based on what’s happening around them. 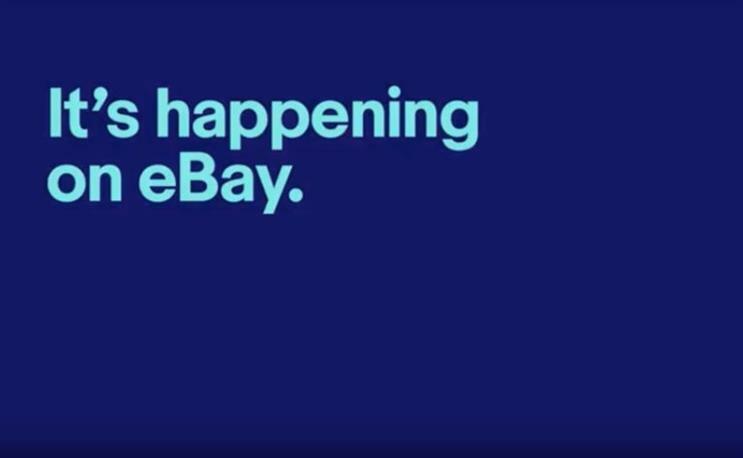 That’s where the campaign line for eBay’s new creative comes in: "If it’s happening in your world, it’s happening on eBay." The new eBay spots, created in partnership with 72andSunny Los Angeles and production company Radical Media, begin airing today on top cable networks. On Thursday, the 30-second hero ad will air during the NFL game, featuring the Baltimore Ravens and the Cincinnati Bengals on the NFL Network. In addition to the 30-second spot, the new TV and digital creative includes several 15 and six-second videos, one of which showcases shots of the upcoming Marvel Venom movie. The new ads are an extension of eBay’s existing "Fill Your Cart with Color" campaign, launched by 72andSunny last year to encourage consumers to break free of "beige" conformity and live more colorfully. 72andSunny began working with eBay as its global creative agency in 2017.